7.1 USB Gaming Headset with Virtual Surround Sound for PS4, Xbox One, Nintendo Switch, and PC. Hear your games in full 7.1 virtual surround sound! The Sound BlasterX H6 is a high performance USB gaming headset that delivers powerful audio, whether you're on PC, PS4, Xbox, or Nintendo Switch. Enjoy loud but accurate audio with its custom-tuned 50mm Neodymium drivers, along with Sound Blaster's full suite of powerful audio enhancements, including Scout Mode that lets you hear your enemies before they hear you! The headset also features a detachable noise-reducing ClearComms microphone for in-game voice comms. Lastly, the Sound BlasterX H6 also features three professionally-tuned hardware EQ profiles, breathable and replaceable fabric earpads for comfort, and customizable Aurora Reactive RGB Lighting. Prepare for some seriously powerful audio. The Sound BlasterX H6 has its audio pumped out through professionally-tuned 50mm Neodymium magnet drivers. These drivers are optimized to deliver the impact and power necessary for true immersion into the game environment, while at the same time maintaining the precision and subtlety needed to reproduce tiny, crucial audio details such as footsteps and reload sounds. 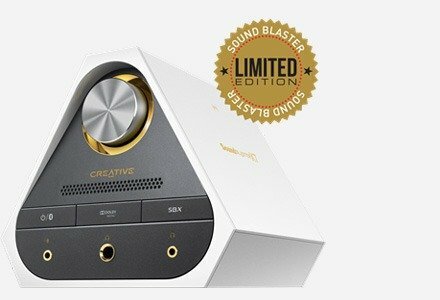 The Sound BlasterX H6 taps on Sound Blaster's 30 years of audio processing experience. Users can use the downloadable Sound Blaster Connect software for PC to apply instant audio enhancements - such as Surround, Crystalizer, and Bass - and tune it precisely so the audio sounds perfect. The Sound BlasterX H6 also features three professionally-tuned hardware EQ settings that you can toggle through even without the software. Immerse yourself in your PC gaming with the Sound BlasterX H6's 7.1 virtual surround sound capabilities! Perfect for first person shooters, open world games, and Battle Royale environments, the Sound BlasterX H6 utilizes Sound Blaster's proprietary Surround audio enhancement to ensure you'll feel like you're right in the middle of all the action. Perfect for team-based games, the Sound BlasterX H6's detachable noise-reducing ClearComms microphone is optimized to ensure your teammates will hear you loud and clear. 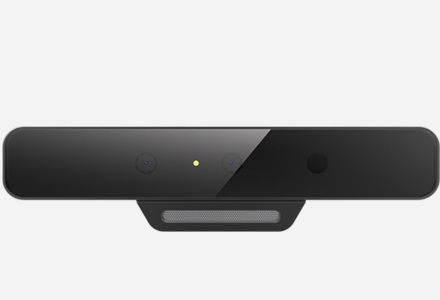 The headset also features mic monitoring, so you can hear how your voice sounds over the mic. Lastly, the ClearComms microphone also has a red LED that indicates when you have muted it. The Sound BlasterX H6 is designed to be comfortable for long hours. 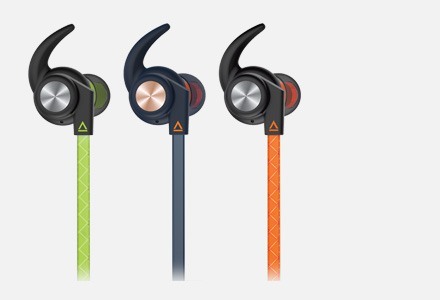 Its detachable earcups are made of breathable mesh fabric that allows heat to dissipate easier than leather cups, and the built in memory foam conforms to the shape of your head. We designed the Sound BlasterX H6 to have a clamping force of less than 600g. It's the optimal balance that ensures the headset sits securely enough on your head and provides a good enough fit for bass, yet isn't uncomfortable. The Ambient Monitoring feature lets you to listen to your surroundings while keeping the headset on. The sound of your surroundings won't be transmitted through comms to teammates. Controls are easily within reach, and are intentionally placed on the left earcup, so you never need to take your right hand off the mouse when you're in-game. Each of the Sound BlasterX H6's earcups houses an Aurora Reactive RGB Lighting ring. Customize the headset with special effects like pulsating or cycling, and with up to 16 million colors to choose from. 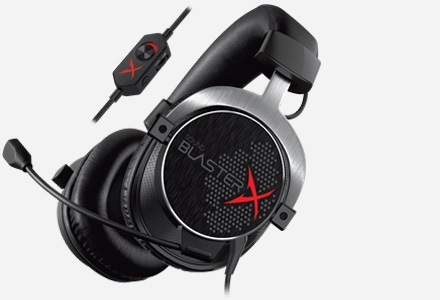 Creative Sound BlasterX H6 is a well-priced headset for gamers on a tighter budget. Paying out for decent cups is a great way to take your gaming experience to a whole new level and Creative is one of few brands I'd trust to perform. There’s a lot to love about the Sound Blaster X H6. They’re not only incredibly comfortable, but they sound fantastic in-game, and are decent enough with music that they could work as a pair of everyday headphones. With the Sound BlasterX H6, Creative has delivered a budget conscious headset that takes a little tweaking but can ultimately wind up sounding quite good. I really enjoy the look with those tasteful RGB rings on each earcup and the mix of materials looks sleek and comfortable all at once. What stood out most about the Creative Sound H6 headphones is just how comfortable they are on top of my head. Premium cups made from memory foam perfectly encapsulate my ears, putting minimal pressure on the side of my head. The Sound BlasterX H6 is a force to be reckoned with for sure. The ease of use with ambient monitoring and compatibility with different devices makes it convenient. The onboard sound profiles gave me options when using the headset for different activities. The software lets me ticker with it more until I found my favorite settings...I definitely like the H6, and it’s a killer deal for $79.99. The Sound BlasterX H6 is an excellent mid-range headset for anyone looking for great sound and a decent quality microphone...so long as you use it over USB, and avoid using the rather lackluster 3.5mm jack. What platforms does the Sound BlasterX H6 work with? The Sound BlasterX H6 works with PC, Mac, and PS4 via USB. To connect the Sound BlasterX H6 to the Nintendo Switch, either connect the USB to the USB port on the Nintendo Switch dock, or connect directly to the console via the included 3.5mm cable. It works with the Xbox One over 3.5mm cable as well. Sound Blaster Connect software is used to further customize the Sound BlasterX H6. This software is only available on PC. Does 7.1 surround work on all platforms? 7.1 Virtual Headphone Surround is only available on Windows Operating System with Sound Blaster Connect installed. Does the Sound BlasterX H6 store settings for customization, or do I need to keep changing my settings every time I use the headset? Changes made via Sound Blaster Connect are stored only on the PC, and not in the headset itself. Disconnecting the Sound BlasterX H6 from a PC where the settings are customized will make it revert to its default settings. This includes processing effects, EQ, and lighting effects. 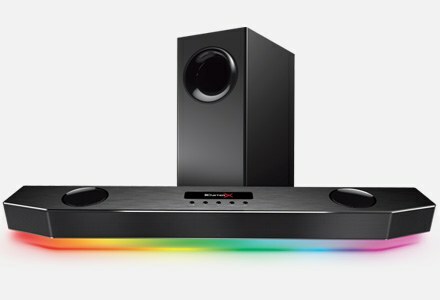 Does the Sound BlasterX H6 support Dolby or DTS? 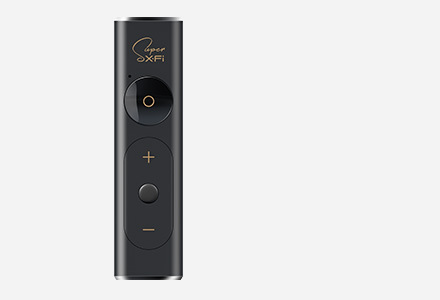 The Sound BlasterX H6 does not come with its own built-in Dolby or DTS technology. Dolby Atmos for Headphones is supported and is available as an optional purchase from the Microsoft Store. Do note that only 1 virtual surround processing algorithm should be used at any time. For example, if SBX Surround is enabled, Dolby Atmos for Headphones should be disabled. How do I install and update drivers for the Sound BlasterX H6? Navigate to our support page and select Sound BlasterX H6. Follow the onscreen instructions for the software installation. The software package includes the Sound Blaster Connect application, drivers for the Sound BlasterX H6, and supporting software modules. Can I use the 3.5mm audio jack simultaneously with USB? No. Plugging in the 3.5mm cable audio gives it priority over USB. Are equalizer and processing effects compatible with PS4 and other consoles? EQ and processing effects are stored locally within the Sound Blaster Control software on PC. Disconnecting the Sound BlasterX H6 from a PC where the settings are customized will make it revert to its default settings. 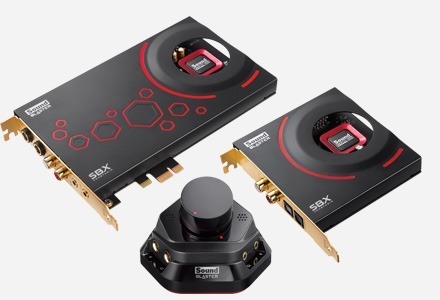 Only the on-board three hardware EQ profiles are available when the Sound BlasterX H6 is connected to PS4 and Nintendo Switch. What are the inner measurements of the cup size? Can others hear my environment if I turn on Ambient Monitoring? No. Only the user will be able to hear the surrounding environment when Ambient Monitoring is turned on. What is the difference between Ambient Monitoring and Mic Monitoring? Ambient Monitoring utilizes a small, hidden microphone to allow users to listen to the room/environment they are seated in. Mic Monitoring allows the users to hear what is being recorded on the detachable ClearComms microphone. These features are not designed to work simultaneously.